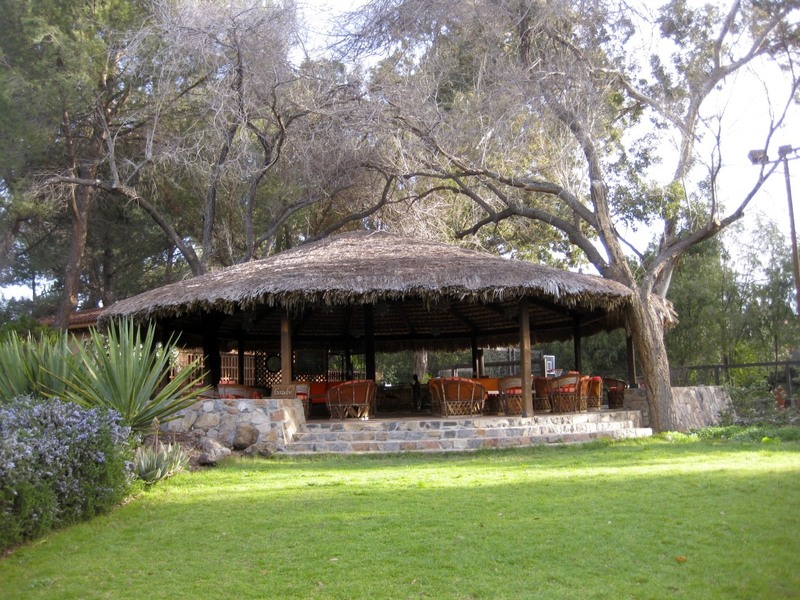 Over the past four years, I’ve been fortunate to experience Rancho La Puerta twice. The first visit was as a journalist and presenter and the second time as a presenter. Once you’ve experienced this destination spa and wellness center, it is easy to see why it averages a 65% return rate. This space of 3,000 acres has over 30 acres of gardens, hiking trails, organic farm, pools, two spas, fitness center, and numerous other activity rooms. 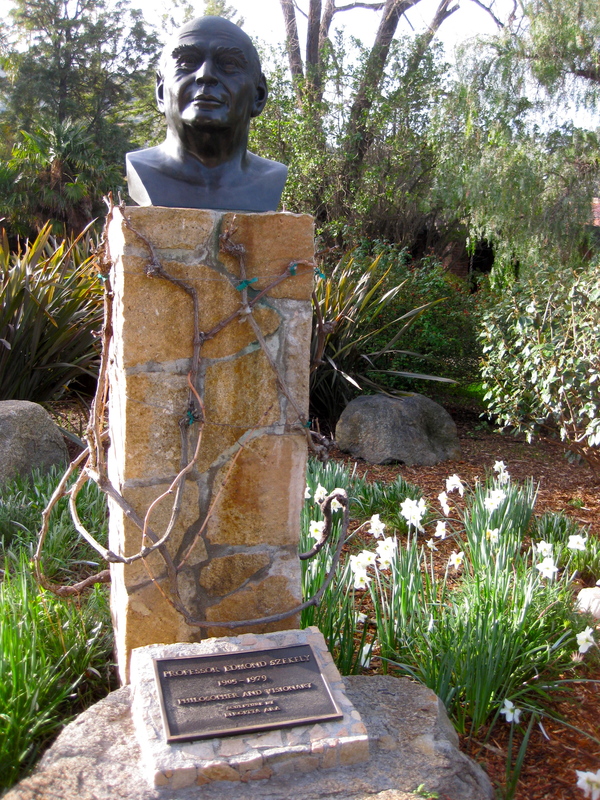 It has evolved since originally founded in this location in 1940. by Edmond and Deborah Szekely started the Ranch as the original destination fitness resort and spa. It has and always been family owned. To quote the Ranch, Our motto has always been “Siempre Mejor,” which means “Always Better.” Our co-founder, Deborah, believes this must also mean “Always Changing.” The Ranch reflects this, literally, from the ground up. For me personally, I attended classes, conducted classes, enjoyed delicious food, delighted in the wonderful people I met, and thoroughly enjoyed the walk to our casita. At another time, I hope to bring an update of current happenings at the Ranch. For now, I wish to focus on an aspect that relaxed my mind and renewed my spirit, the artwork. Rancho La Puerta has such an amazing eclectic assortment of artwork. I am quite partial to the warmth and life I felt when my eyes settled on the bronze sculptures located throughout the property, as you strolled down different paths. If I have a frustration, it is that my latest photos are somewhere in cyberspace and I only have some to share at this point. 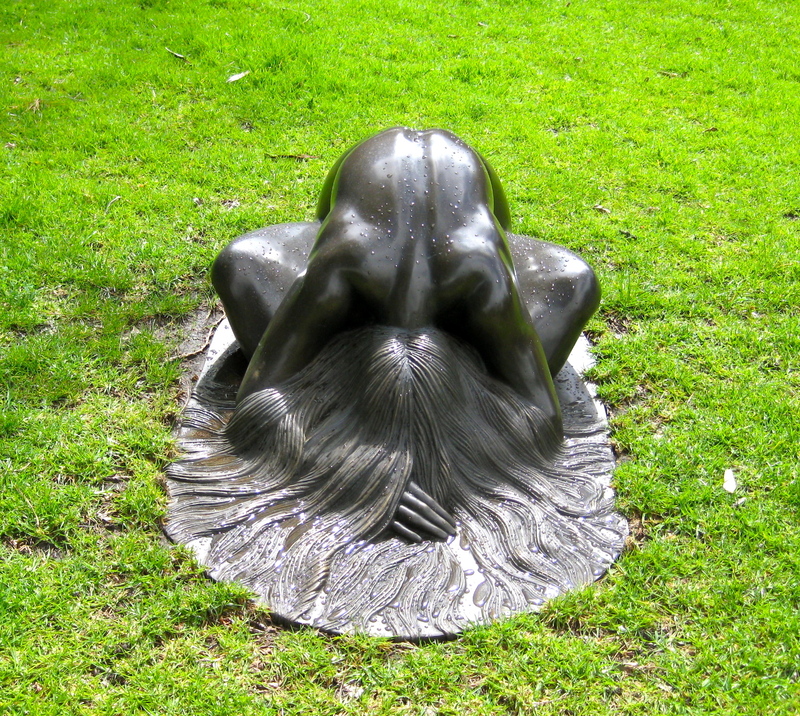 One morning, I took a shot of the woman leaning forward with her hair spread out. Raindrops clung to and emphasized the smoothness of her skin. 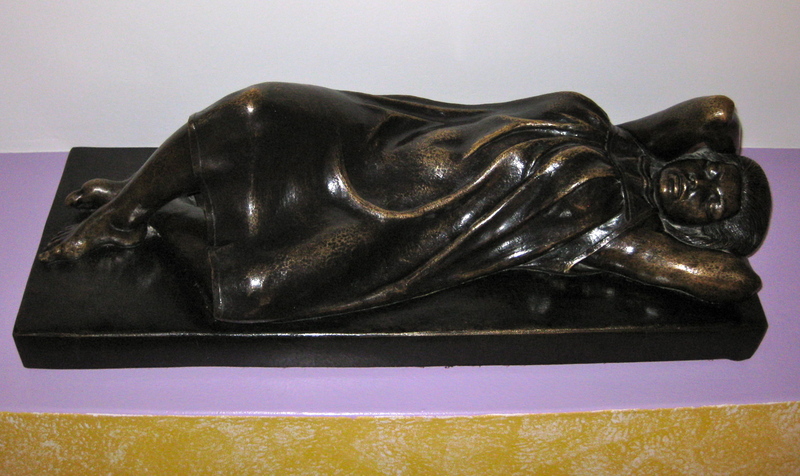 Another sculpture of a woman with her cat has some of the water captured in her skirt. Bronze work throughout the Ranch property is magnificent. I’m partial to bronze, but on my walks back to the casita, I always looked forward to seeing how workers arranged the little stone frogs, which were an extremely simple but impressive form of art. The labyrinth in the wooded area where one goes for reflection conveyed another type of simplistic stonework with exceptional craftsmanship. Also, some hammocks were situated close by. Strolling down the paths, one was apt to discover old carts, carved swings, or many rustic signs with a Mexican design border. I found it quite relaxing to sit on that swing and let my mind wander. 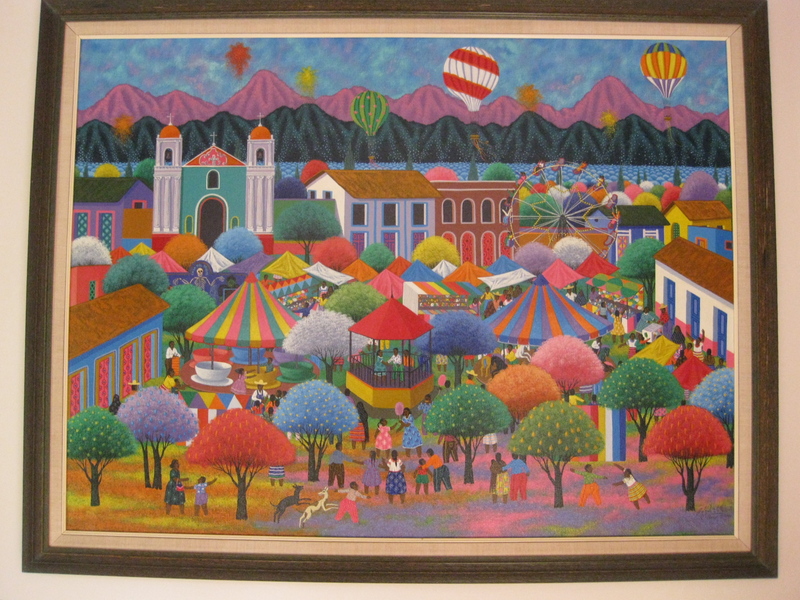 In the casitas and dining room, artwork was more colorful and the gift shop was also amazing. Naturally, there was a wide selection of art to purchase. One item not for sale was the man on the bicycle, outside the gift shop. 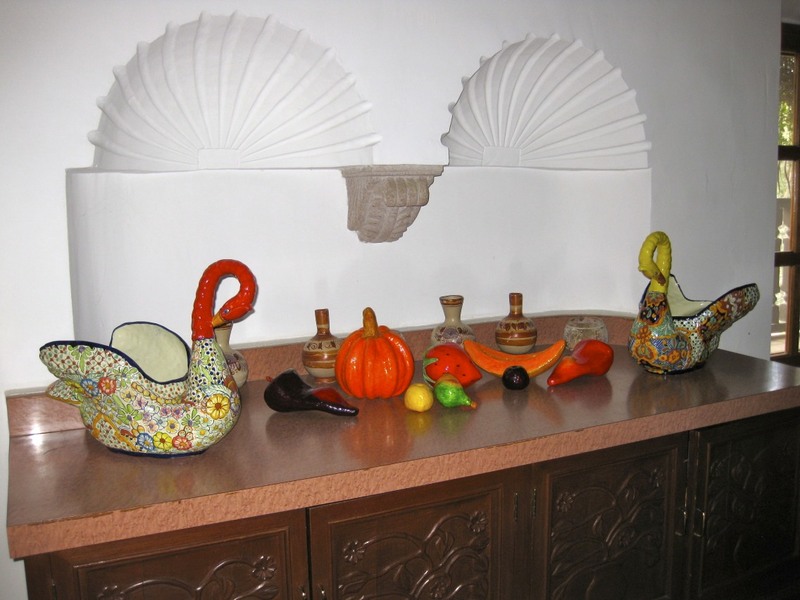 Spaced around the top of the dining room fireplace, beautiful dolls of Mexican women in their finest dress are featured. 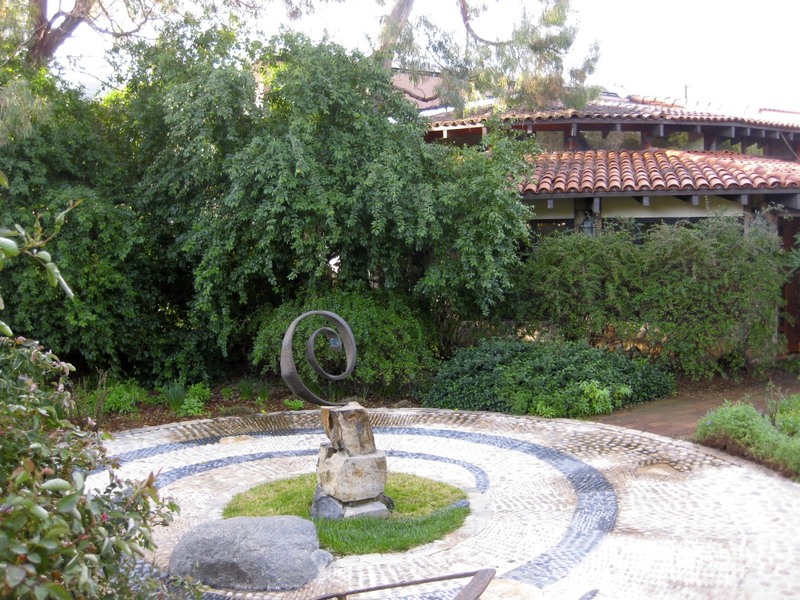 The Ranch spas had a combination of sculpture and art, soft and vibrant. The one example shown brightened up the serene feeling. 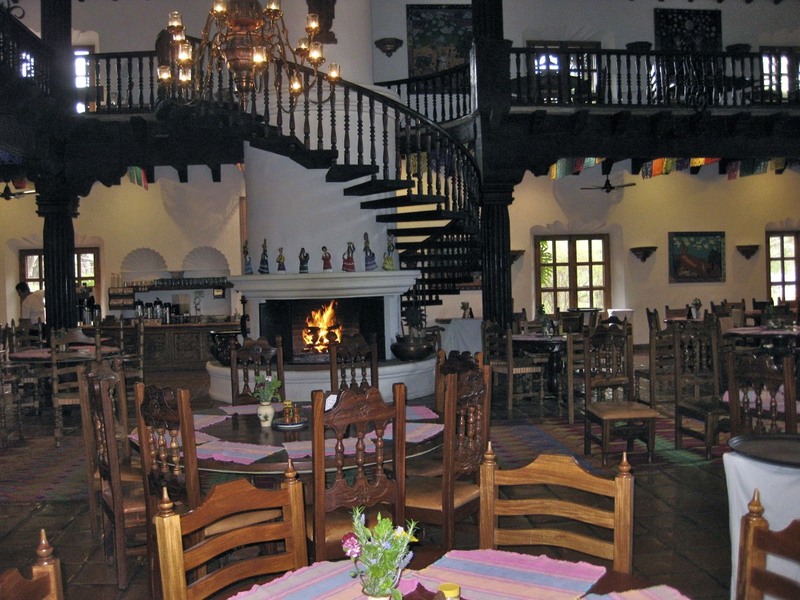 This mixture is carried out throughout the Ranch, from the table settings, to the architecture of the buildings. Each corner you turn can bring another surprise. We provide space—that which is most lacking in today’s life. Space to breathe freely amidst nature. To relax. To renew, reflect and redirect one’s longer-living life. To explore the possibilities of changing course in one’s life. To that end we often refer to our program as “The Door to the Future…Glorious Wellness” which refers to your future, one strengthened and emboldened by good health and fearless life-long learning, which unleashes the willingness to change…for the better. For me, artwork throughout the Ranch, along with its beautiful surroundings, allowed me to relax. For those who know me, relaxation does not come easily. I’m not someone who enjoys art that is depressing, even if it is life like. Art that is uplifting, inspiring and beautiful is what brings joy to my heart and peace to my mind. My husband and I collect art and enjoy works that lift our spirits, the type that brings a smile to our face or a feeling of joy. Rancho LaPuerta achieved that with its commitment to an environment of beauty throughout its 3,000 acres. So for anyone with the desire to go to a destination spa that is named number one, year after year, try out Rancho La Puerta. In addition to its fantastic program, I would enjoy hearing about your reaction to the artwork. For those men who are interested, the Ranch food fare will not starve. An extensive program has been developed, since more and more men have taken an interest in destination spas and wellness. Its website is quite thorough at listing programs, activities, specials, and just about everything. The staff picks guests up and drops them off at the San Diego airport, after transporting to and from the Ranch. But if I can answer any questions, just let me know. 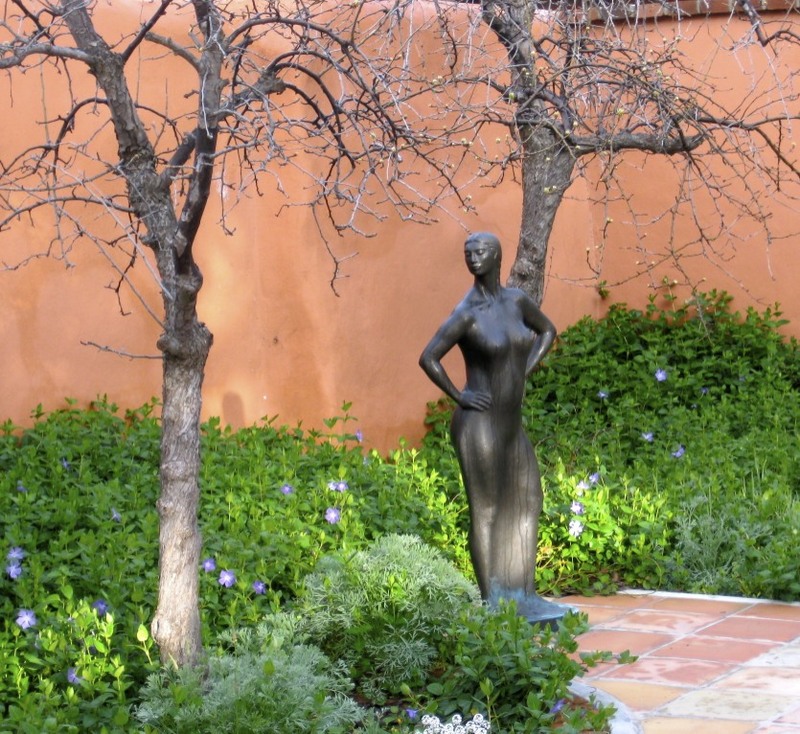 Rancho La Puerta truly deserves its reputation as a destination spa, but should also receive accolades for its fine artwork. To read the Luxe Beat Magazine version of this article click on the title Rancho La Puerta and Its Art.